C.C. 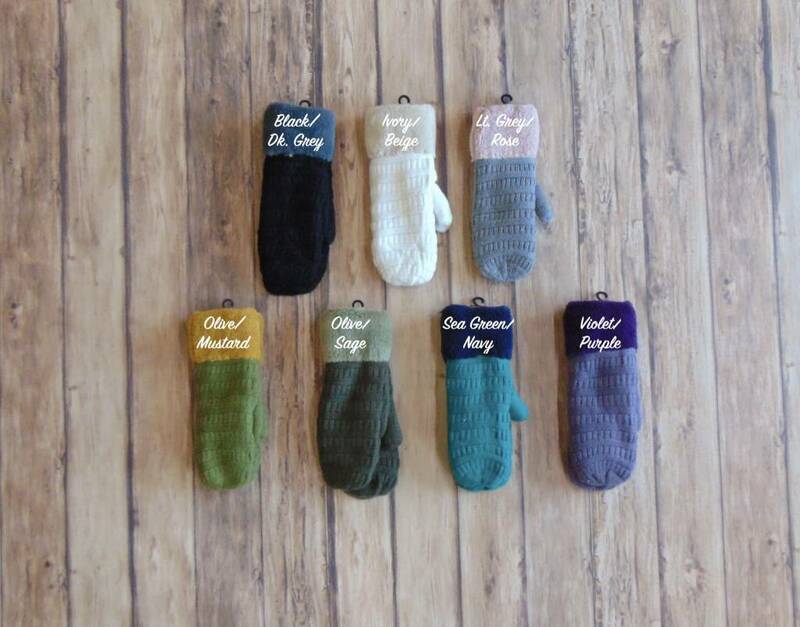 Fleece Lined Two Tone Mittens - Stori Anne Co.
100% Acrylic. 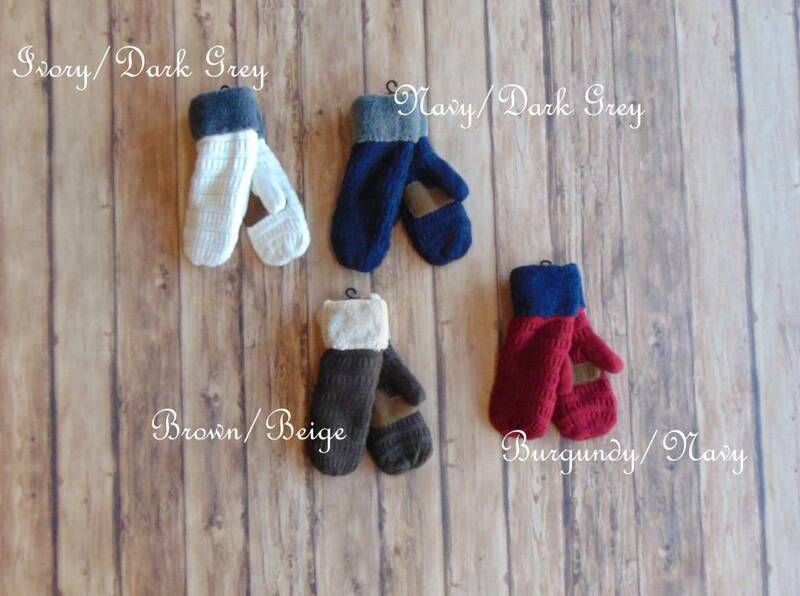 Two tone mittens with knit hands and a soft, fuzzy wrist covering and a fleece lining inside. A perfect pairing with your warm jacket this winter!